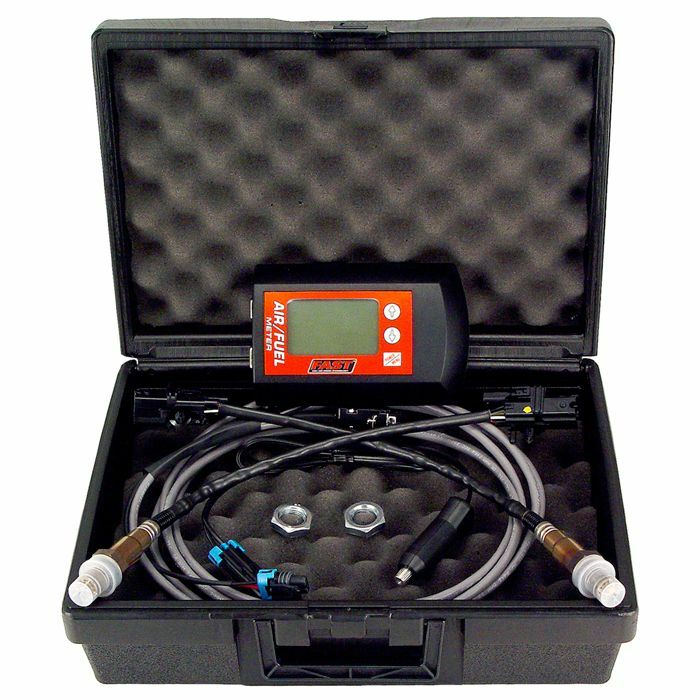 FAST™ has revolutionized the tuning industry with it’s wide-band air/fuel meter. The FAST™ Air/Fuel Meter with it’s available twin sensors puts a sensor in both of your engine’s exhaust outlets (not just one sensor like competitive air/fuel meters) to get the full story on the state of your engine’s tune. With the FAST™ Air/Fuel Meter, you can read both exhaust sensors individually or average them together for super accurate readings of the engine’s true air/fuel ratio. 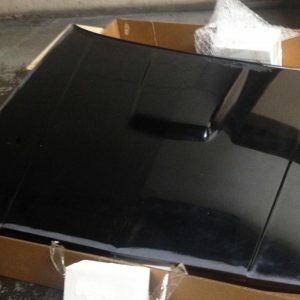 For those on a budget, a single sensor version is available that can later be upgraded to the two-sensor technology. 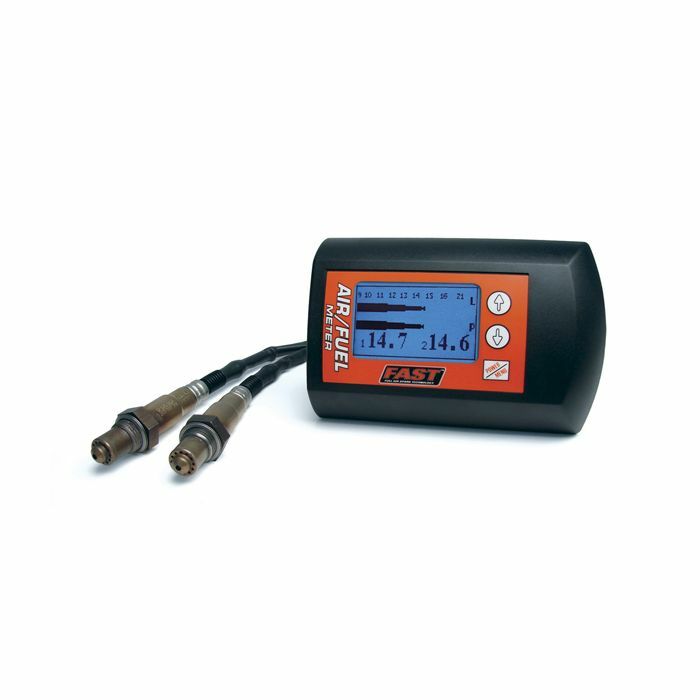 Easy to use, the FAST™ Air/Fuel Meter includes a simple, built-in data-logger that doesn’t require you to download to a laptop. It simply plays back your information on the unit’s display screen in real-time. Advanced features include outputs for external data-loggers and digital gauges, as well as a narrow-band simulator function that allows you to feed your engine’s computer a factory signal while using the wide-band sensor for air/fuel measurement. With double the sensors and double the performance, it’s clear the FAST™ Air/Fuel Meter is the best choice for the serious engine tuner.